Browning rifles--named after the company’s founder, legendary firearms designer John Moses Browning--are classics in the sporting arms field. Built on fine walnut stocks and of high-quality steel, the weapons can outlast the original owner by generations. Like most long-used rifles, though, even the most cherished rifle often ends up with some aesthetically displeasing dings and scrapes. 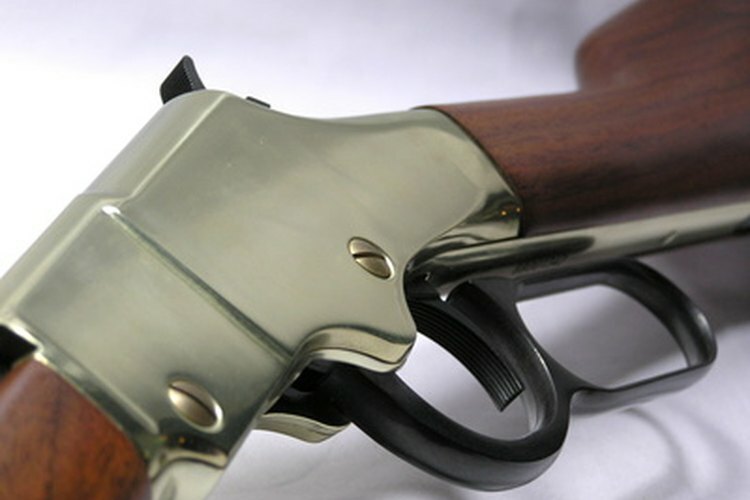 Refinishing the stock on a Browning rifle is a relatively simple procedure, although it can be somewhat time-consuming. Unload and clear the weapon. Remove any ammunition and double check, both visually and by touch, that the weapon is empty. Breakdown and disassemble the weapon in accordance with the manufacturer’s instructions. Use your screwdriver where appropriate to remove the retaining screws that hold the reciever of the weapon to the stock. Apply generous portions of mineral spirits to the entire wood surface of the stock. The goal is to soak the mineral spirits through the weapon’s finish and into the wood. Let it set overnight to soak in and eat away most of the finish. Apply more mineral spirits to the stock of the weapon and use your 000 steel wool to gently scrape the loosened finish and varnish away. Remove as much of the varnish as possible. Repeat this process as needed, until all the visible varnish is completely removed. Lightly sand the entire surface of the stock with gradually finer sandpaper, until the entire stock is glass smooth. Apply several layers of walnut stain to the stock of the weapon. Use a soft cotton cloth to apply the stain. Allow each layer to dry before applying the next layer. Apply at least 10 coats of stain. Lightly sand the final coat of stain with the finest grade of sandpaper you have available. This should be #600, but #400 will suffice. Finish the stock by applying three to six coats of clear lacquer varnish to the stock. Allow each coat to dry completely before applying the next coat. Thoroughly rub each coat of varnish with a clean, soft, cotton cloth in order to bring out the maximum amount of shine possible. Reassemble the weapon, taking care not to scratch or blemish the newly restored finish by gouging it with any of the metal parts of the barrel or reciever. Use caution and ensure proper ventilation and appropriate protective equipment are used when handling paint thinner and clear lacquer varnish.